Myself and Chloe both began our hairdressing journey with Kate Preston. We both started out as Saturday girls where we really got a taste of what salon life was like – hectic! Whilst we were both still at school we fell in love with the industry and were thrilled to be offered an apprenticeship at such a great salon. Apprenticeships at Kate Preston Salons are done with HAHA training, a training academy dedicated just to hairdressing and in partnership with Portsmouth College. We receive one-to-one training once a fortnight when our tutor visits the salon. This has been much more beneficial for us as opposed to the traditional way of going to college on day release as Kate was able to overlook our training. Having one-to-one training means that it can be tailored to our individual needs allowing us to develop our skills quicker than usual. 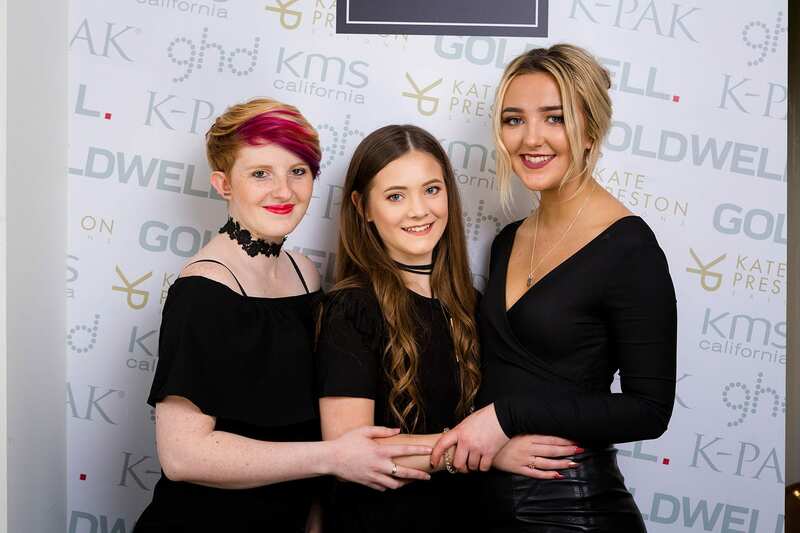 Outside of college, Kate has given us many more opportunities to further our skills, from in house training to attending courses in London at Goldwell HQ. Over the years we have been on various courses, my favourites being the Master Colourist course with Goldwell, a Mac makeover course at London School of Makeup and the GHD wedding hair up. Chloe’s favourites being the IQ cutting course at Goldwell and GHD bouncy blow-drying masterclass along with various other hair up and make up courses. Overall, we would both agree that our training has been outstanding and very enjoyable. The salon itself has been such a supportive and friendly environment to work in and we both have stayed on to work as stylists.